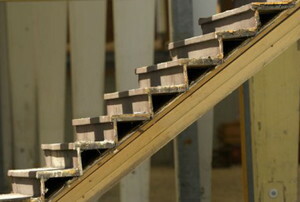 Read this article for advice on building outdoor staircases. 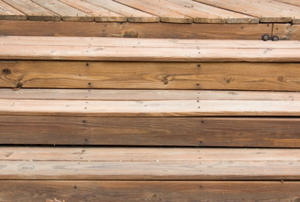 Construct a set of steps to or from your deck out of wood by following this simple process. Replacing it is always an option, but if you have a small area of rot on your porch railing there may be another solution. The stringer offers support to the entire staircase. 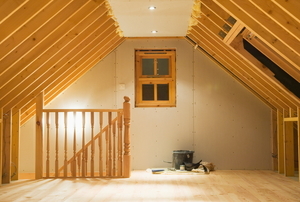 Attic stairs provide the most convenient and sensible way to access attic space above your home. 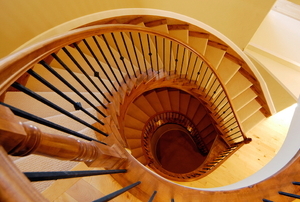 How to space safe, up-to-code stairs in 6 simple steps. 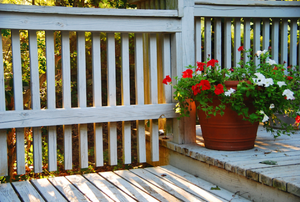 You should always have a handrail on your deck steps to prevent accidents and improve overall safety. Porch railing is often the final piece that turns a new porch project into a finished outdoor room. Porch Steps: Wood, Concrete or Stone? 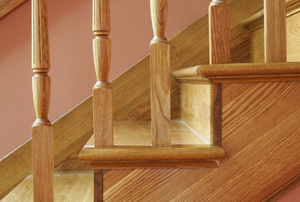 Porch steps are needed to reach the doorways of most houses, due to the height of the house's foundation. Your deck design should include plans for deck railings as well as well as dimensions and a list of materials. Wood, Vinyl or Metal Deck Railings? Should You Add a Glass Railing to Your Deck? 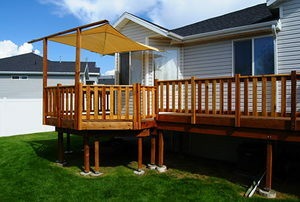 Building deck stairs is necessary if you want to be able to access your backyard directly from the deck.